That's the winter pick schedule for Diversey. 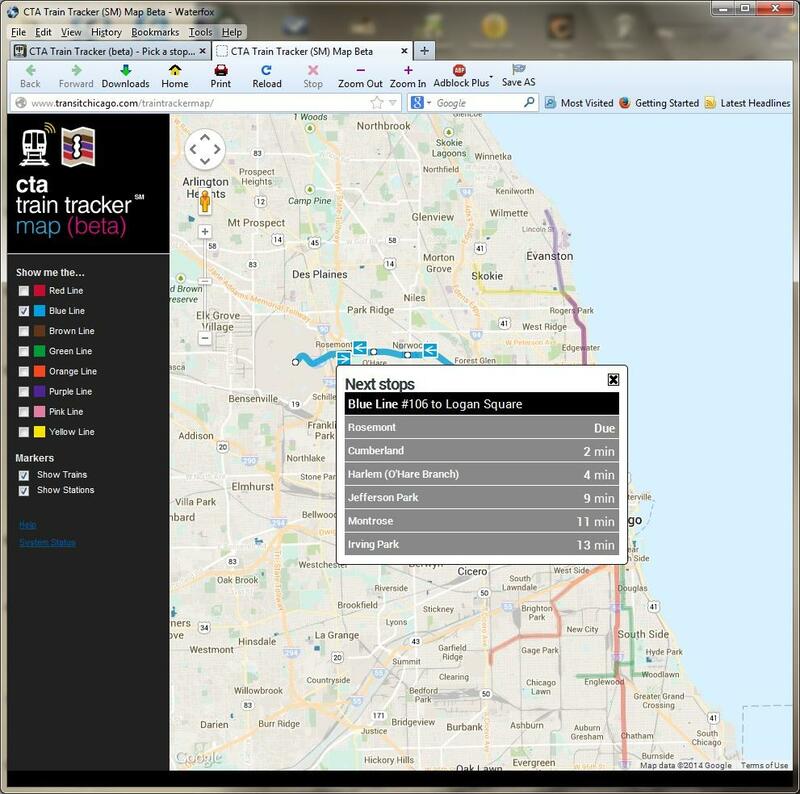 Wow, they want to do a shuttle bus to Clark/Lake for the Western/Milw. to Damen/Milw. closure? That sounds kind of smart. 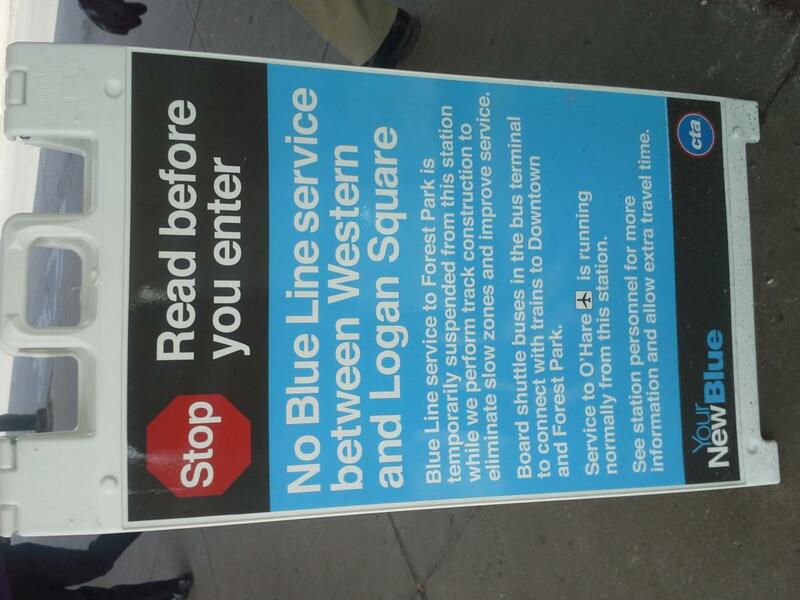 I wonder why they aren't doing that for the Logan to Western Closure? 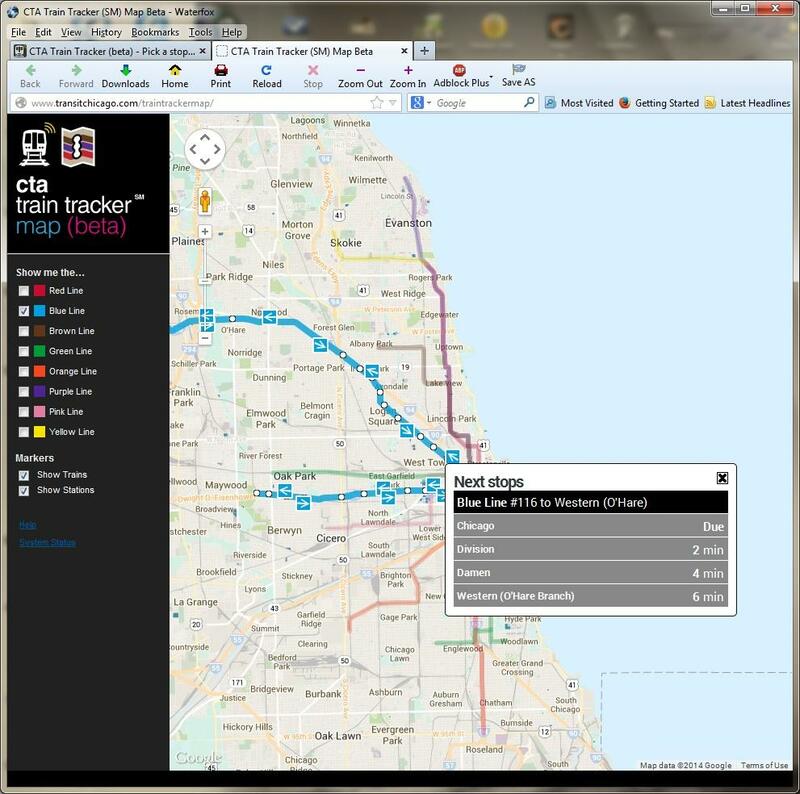 You know how trains run really close together because half only go to UIC on weekends. I wonder if they are going to have a problem turning trains back that quickly on a temporary terminal basis? They could always run long trains and cut a few minutes off the service. 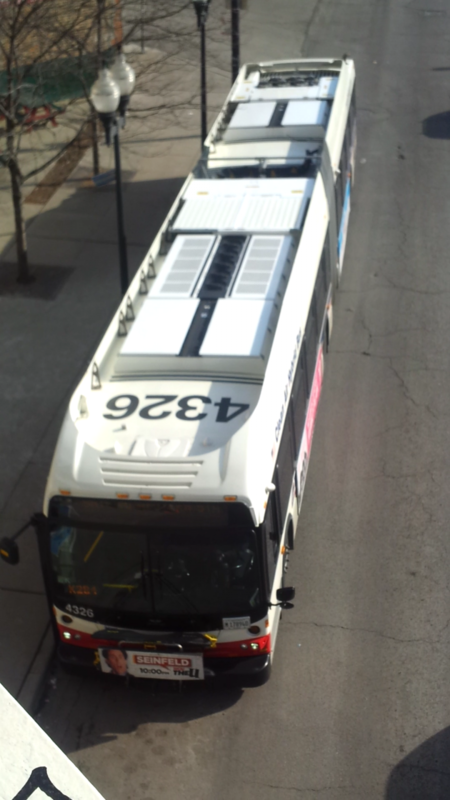 It would be interesting to discover if that's what they intend to do with the Clark/Lake shuttle bus. Run Forest PK like train service through Damen/Milw and run the more frequent service on the NW side. The better bet might be to ride the shuttle. The Shuttle from Western to Clark/Lake are due to CTA providing adequate Accessiblity service to customers with Disabilities, hence that Between Western & Clark/Lake, there are no accessible stations. Right for anyone on the Blue Line needing to get beyond the closure past Western and using a wheelchair or having some other mobility limitation requiring a station elevator, the next accessible station beyond the Western O'Hare station is Clark/Lake. So with the Blue Line closed between Western and the disability inaccessible Damen station they need the shuttle buses to go to Clark/Lake to get those particular riders where they need to go. 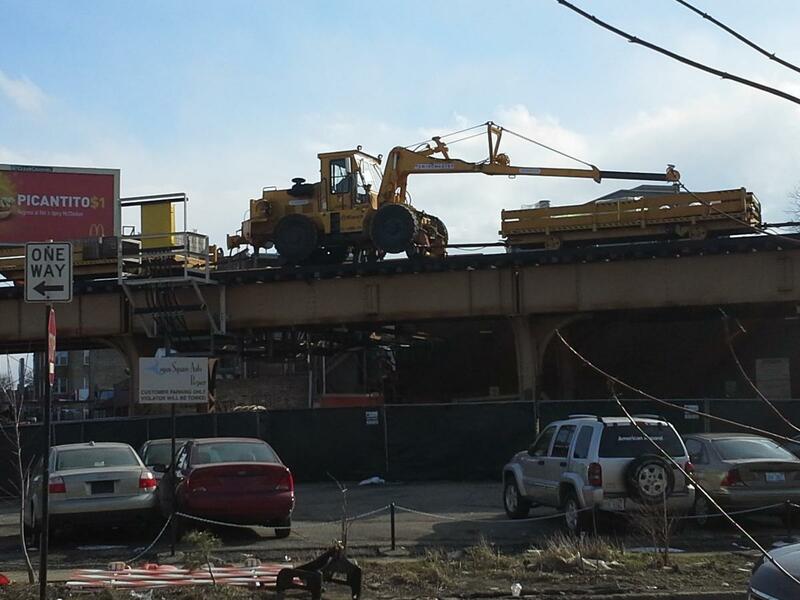 So what then, they are going to have a UIC to Damen train when the time comes. Sounds like it might be a mess, they would have to turn those around in 3-4 minutes. Probably just smarter to run those all through to Forest Pk. What's going to be interesting is how will one know what platform is the next inbound at Damen or Western for that matter. They almost need someone posted there at the top of the stairs to inform someone of this or it's going to be chaotic. It's the first weekend of reconstruction and there are rare run numbers. I'm on run number 149. The run numbers consists of 144-149 and 230-239? so far. If the 200's come from Forest Pk and the 100's come from O'Hare wouldn't it just be one or the other depending on which part of the line cut your on? They should have the run numbers in the 130-40s and 230-40s every night just like the Red Line (830-40s/930-40s). I have never seen a run number in the upper 230s nor upper 140s out of my whole entire years of being a transit enthusiast. I do remember them having run numbers 151-53 and 251-54 but that was almost a decade ago and in the 290s (it might been some more unassigned numbers than that) because of some kind of a Hispanic March back in 2006 resulting nearly the whole entire Blue Line fleet to be in service due to the fact that it covers a lot of Hispanic neighborhoods. I've got the feeling it has to do with reporting points.Given where the break in the line is, if assignments were according to where the cars were from, half of the Rosemont train crews would be laid off. And I don't know if the run numbers are based of what kind of runs are they like the bus part/full-time and block runs. North of Logan Square are all 100s, while south of Western is a mix of 100s and 200s, but not any grossly out of range at the moment. [uPDATE] The Blue Line run numbers in the 200s is up in the 250s as of right now (251 departing Forest Park as it's first trip to Western @ midnight). That is the first time in 8 years that had occurred. 200s run numbers are now up in the 260s. Scenes from the beginning of the Your New Blue. Shuttle buses were frequent but got caught up due to heavy traffic on Milwaukee Ave. Western & Logan Square were heavily staffed, but overall a well planned linecut. Also obviously no UIC bound trains today, or any while I was on the Eisenhower. I noticed that as I was getting some people from the city for dinner. I think they look better with them though. They appear to be optional for both the D60LFR and DE60LFR. I think Sound Transit in Seattle has roof fins on their D60LFRs, and I've seen images of DE60LFRs without the roof fins. You must have missed Emanuel, who was on the Channel 9 news under the piece of equipment in picture #1, as usual taking personal credit. 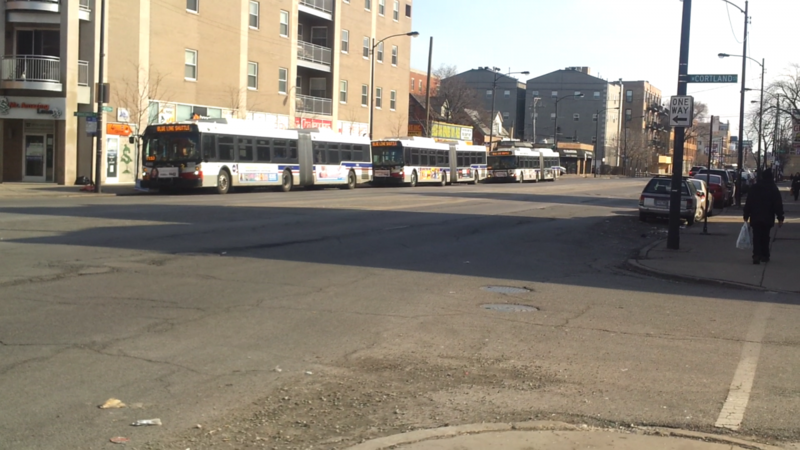 Also, your and BusHunter's pictures confirm 5(Chicago) and K run numbers, so apparently no bus equipment shifts due this reason. The UIC service made no sense & won't make any sense when a line cut is in effect. Why short turn when your line cut is your turn point & your continuing to keep frequency up on both ends. It almost felt like having two rail lines on one line. I was of that opinion to begin with. While that slow zone has been atrocious for at least 15 years, if they were doing line cuts, I thought it needed something like the Pink Line job, i.e. build new columns under it, close it for the weekend, knock out the old track level structure, and install a modern one. 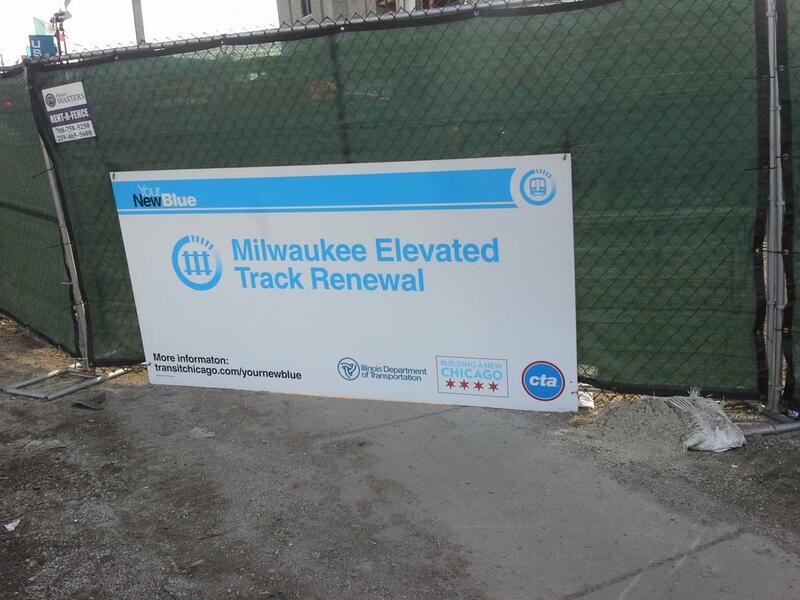 There won't even be additional accessible stations on the elevated stretch. Well Im hoping to see that newer train cars accompany the "New Blue" Im very upset that CTA has been sending a large number of its oldest equipment (buses/trains) to the NW side! 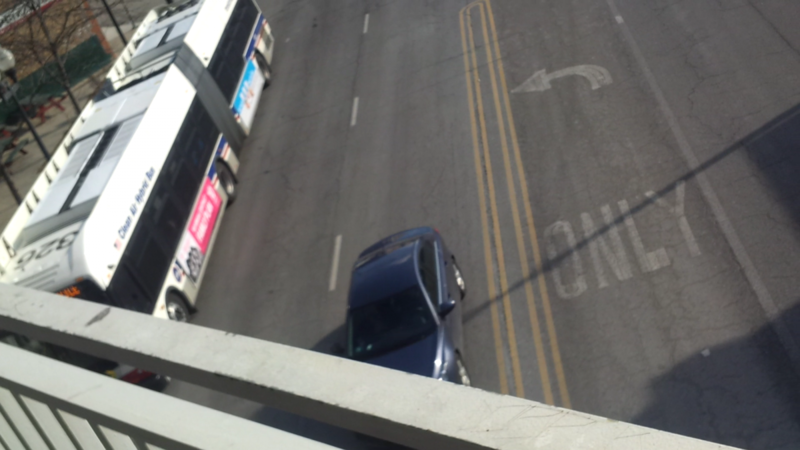 Im sure many here are aware, the CTA retired the #2200 series L cars from the Blue Line. Only to be replaced by the CTAs oldest 2600 series railcars that have been in service on the Red Line. While the Red and Green Lines receive the new 5000 series railcars. Why didn't the Blue Line at the very least receive some of the #3200 series cars instead of sending the oldest 2600 series cars. 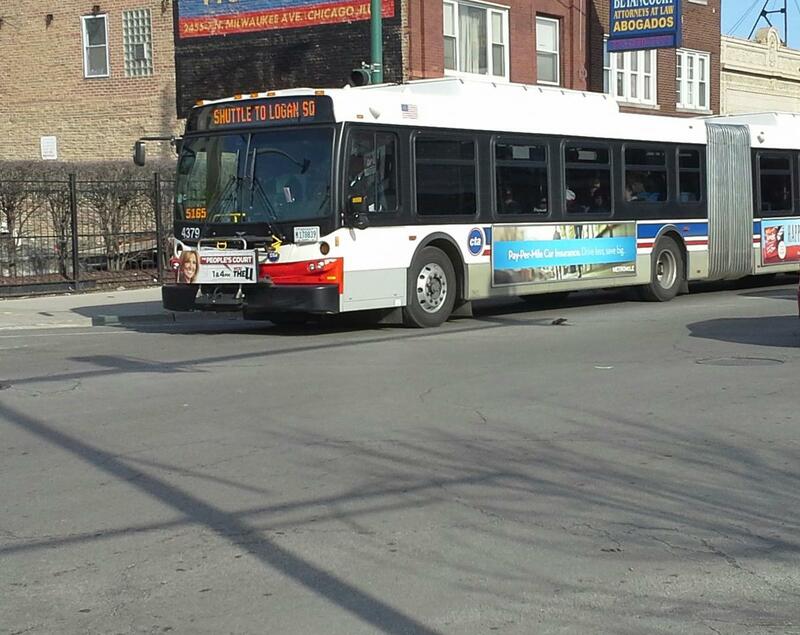 That is very unfair for the NW side riders! And lately Ive been seeing a large number of CTAs oldest buses. The #6400 series Novas operating out of Forest Glen garage. 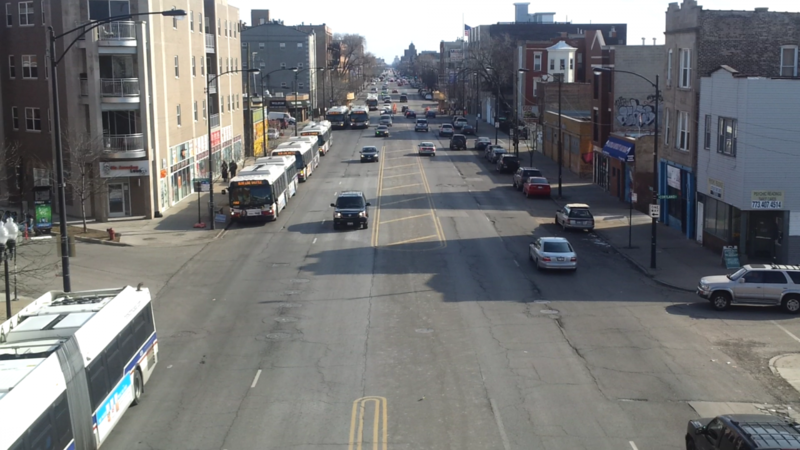 All we see now here on the NW side are 6400/6500 series buses plus the 6800 series that have been in service at 77th for the last few years. Some of them are now back at FG. While the south side is getting ready to receive the new Nova buses. Why does CTA cater to one side of the city providing them with more newer equipment (buses/trains) while another part of town has to ride "hand me down" buses and train cars? Ridiculous!!! Unfair!! !